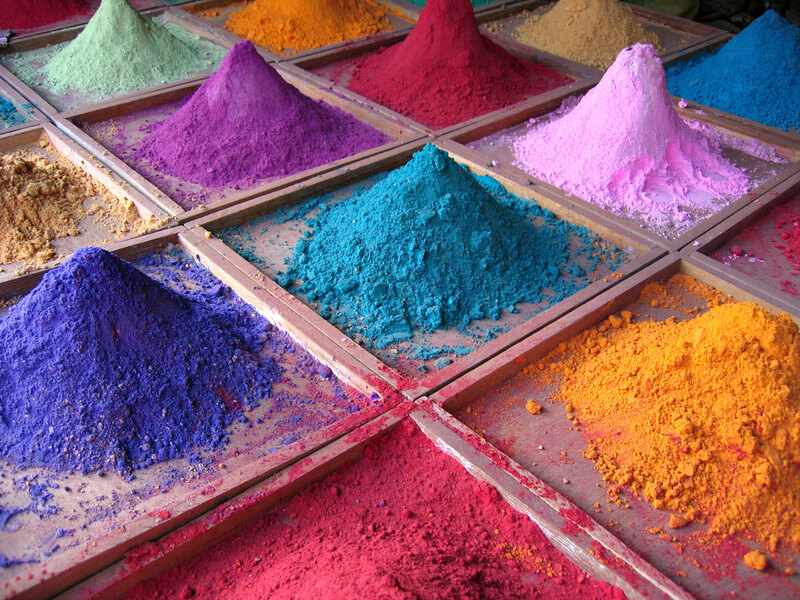 Dyes are classified according to their type and their colorfastness properties. 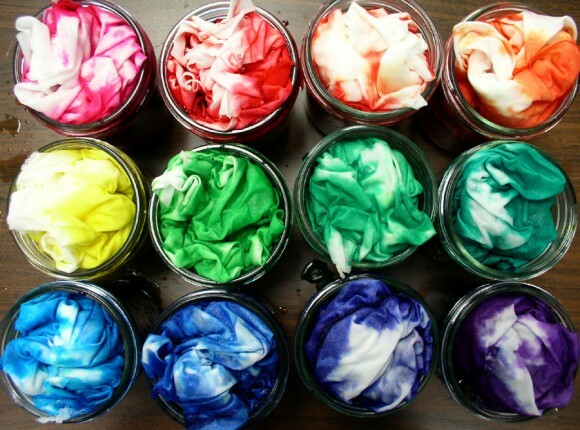 If you get really interested in dyeing, you’ll learn the difference between acid dyes, mordant dyes, cationic dyes, direct dyes, disperse dyes, reactive dyes, and a variety of other dye types. But that’s getting all technical on you, and that’s not where I want to go today. Here’s another quick aside before I get to today’s real post: When it comes dyeing fabric, there are two primary methods: dyes and pigments. Did you know that there’s a difference? Anyway, when you paint on fabric, you’re working with pigments that have some sort of binder (or glue) that attaches them to the fabric. When you’re dyeing, you’re actually changing the color of the fibers themselves. And all this is interesting and helpful, if you didn’t know it already. But here’s what I wanted to talk to you about today: there are various stages during production of a fabric when dyeing can be done. And each of those dyeing stages produces different results. And I think this is so interesting, it’s worth telling you about. Stock and top dyeing are methods of dyeing the fibers themselves before being spun into yarn. This can give the finished fabric sort of a heathered appearance, where the color shows a variety of blended effects because different areas of the fiber take the dye differently. To my knowledge, this method is mostly done to wool fibers, and if you’ve ever seen really beautiful hand-dyed knitting yarns they’re often dyed this way. Yarn dyeing is when the yarns are first spun and then dyed, before being woven or knitted into fabric. Yarn dyes are great for patterned fabrics like stripes, checks, and plaids. Gingham is a yarn dye. Men’s shirts are almost always yarn dyes. I love yarn dyes because the pattern is actually part of the fabric itself. There’s no such thing as a gingham with a pattern that’s off grain, because the pattern is part of the grain itself! Piece dyeing is done after a fabric has been woven. 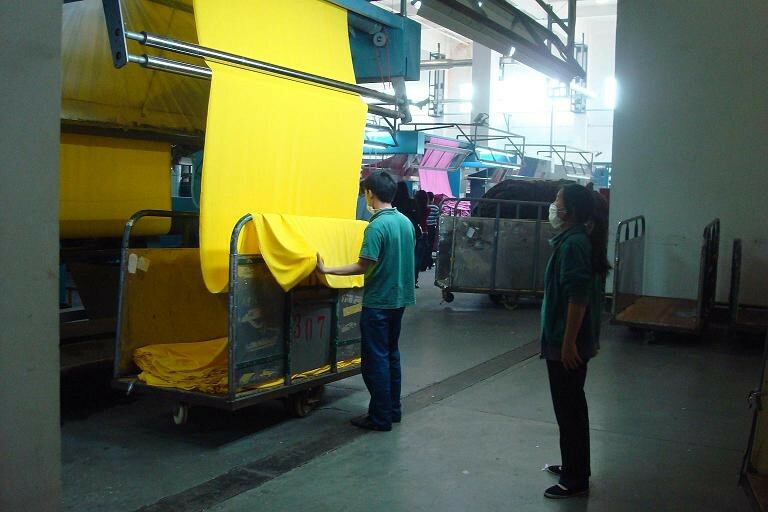 This is the most common method of dyeing, and there are a variety of techniques that can be used to dye the fabric at this stage, but the basic idea is that the length of fabric is unrolled and passed through a big dyeing machine to be dyed and finished before being rolled up again. This is an economical method of dyeing a solid fabric. Garment dyeing is done to a finished garment. This technique is typically used for more casual-style apparel like sweatshirts and T-shirts. Sometimes when you dye something yourself you might notice that the thread used to sew that garment doesn’t take the dye in the same manner as the fabric itself. And if you think back to today’s fabric trivia at the beginning of the post, you’ll know exactly why that is: the thread is made of a different fiber than the fabric itself. For example, if you dye a cotton T-shirt that’s been sewn with a polyester thread, the thread probably won’t take the dye and you’ll have white or very pale topstitching on your T-shirt. And now you know why! P.S. While I was looking for images to include in this post I came across this cool graphic at Centure Dyeing. Click over and watch the upper left-hand corner of the page. I could watch it all day!